SOUTH African power utility, Eskom, intended to invest R12bn in cost plus coal mines in order to secure the quality of the fuel for its power stations, said BusinessLive citing COO of Eskom, Jan Oberholzer. Cost plus coal mines are facilities where the capital cost is funded by Eskom in return for guaranteed coal offtake at prescribed qualities. The efficiency of Eskom’s fleet is, to an extent, informed by the grade of coal it is supplied. In terms of cost plus contracts, when a coal resource has to be expanded in order to sustain supply, Eskom funds the expansion. It is also charged coal at a certain percentage above cost of production. “Over the next five years, we will invest between R10bn and R12bn on them,” said Oberholzer. This would not just secure supply, but also ensure the power plants receive the correct quality of coal, he said. He was speaking at the IHS Markit South African Coal Export Conference. Coal supply has been a thorny issue for Eskom, especially in the wake of a strategy unveiled by former CEO, Brian Molefe in 2015 in which he said cost plus mines would have to compete for short-term tenders once their contracts had expired. He also said Eskom preferred not to invest in their capital expansions. This, and supply interruptions at the mines owned by the failed Tegeta Exploration & Resources, contributed to a shortage of coal at the end of last year. Oberholzer told the IHS conference that most of these supply deficits had been resolved. There were now only three power stations with less than 10 days of coal supply, BusinessLive quoted Oberholzer as saying. 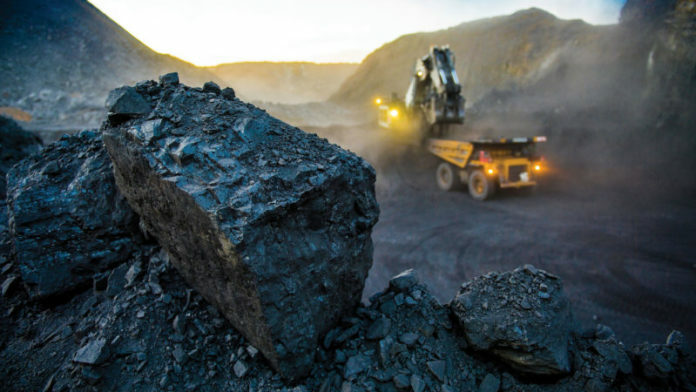 This was in line with comments by the chief economist of the Minerals Council of South Africa, Henk Langenhoven, yesterday in which he said: “The coal supply shortages have been mostly sorted out by Eskom”. Said Oberholzer: “Over the next five years, we will invest between R10bn and R12bn on them”. This would not just secure supply, but also ensure the power plants receive the correct quality of coal, he said. Eskom’s commitment to developing cost plus coal mines is despite huge financial pressures with debt totalling R419bn – an amount it can barely service. As a result there have been calls by business leaders and civil society to restructure Eskom with some suggestions stating its generation and transmission activities could be outsourced in typical private-public partnerships. The South African government has prioritised a restructure of Eskom which is currently conducting hearings with the National Energy Regulator of South Africa regarding an application to increase the electricity tariff 15% a year for three years. According to the Minerals Council, ratifying such a request would imperil the country’s mining sector. “This is a tipping point in mining and the economy,” said Langenhoven. “A price increase on its own is not a solution. It [Eskom] has to be restructured and the state has to intervene,” he said. Eskom was allowed to increase tariffs 15% between 2006 and 2017 in which 53,500 jobs were shed. An estimated R100bn in fixed investment was also foregone, according to Langenhoven.